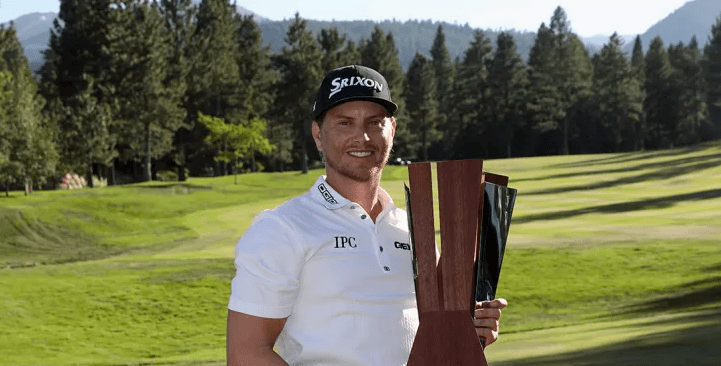 Congratulations to Chris Stroud for capturing his first PGA Tour win at the Barracuda Championship and for his strong ninth place finish in the 2017 PGA Championship. Chris Stroud exploded for 20 points in the final round of the Barracuda Championship and walked away with his first victory on the PGA TOUR. Stroud was at No. 144 in the FedExCup standings going into the Barracuda. He picked up 300 points with his win Sunday and jumped all the way to No. 76 in the standings. Stroud went back to an old club he had used before, a counter-balanced, long putter. “It just really helps me release the putter,” he said. “And when it does that, it keeps me very still. And the trouble I have with putting, with a shorter putter, is I lean the shaft a little bit. So I end up pushing a lot of putts. Stroud, 35, from Houston, Texas, said he loves the Modified Stableford format, which rewards risk-taking and aggressive play. It was his first win in 290 PGA TOUR events. Stroud turned pro in 2004. He played on mini-tours until earning his PGA TOUR card at the 2006, 2007 and 2008 Qualifying schools. His best performance in a PGA TOUR event during these early years was a tie for fifth at the 2007 Zurich Classic of New Orleans. In 2010, Stroud finished T10 at THE PLAYERS Championship, and he lost in a sudden-death playoff to Ken Duke on the second extra hole of the 2013 Travelers Championship. Stroud had never made the cut in Reno in three previous trips (2007, 2009 and 2016). Despite his history at Montreux, Stroud credited his caddie for helping him stay so calm on Sunday. Stroud also said his father was able to help him with his confidence going into Sunday’s final round and that his father knew he would excel in the unique format. Despite it being his first win on TOUR, Stroud said he doesn’t have a celebration planned and his focus is now looking ahead to the PGA Championship. “I got my two baby girls — I was planning on going home because I wasn’t in the PGA Championship, going home to Houston and hanging with them for a week. But now I get to play Quail Hollow, which is an awesome, great golf course,” Stroud said.